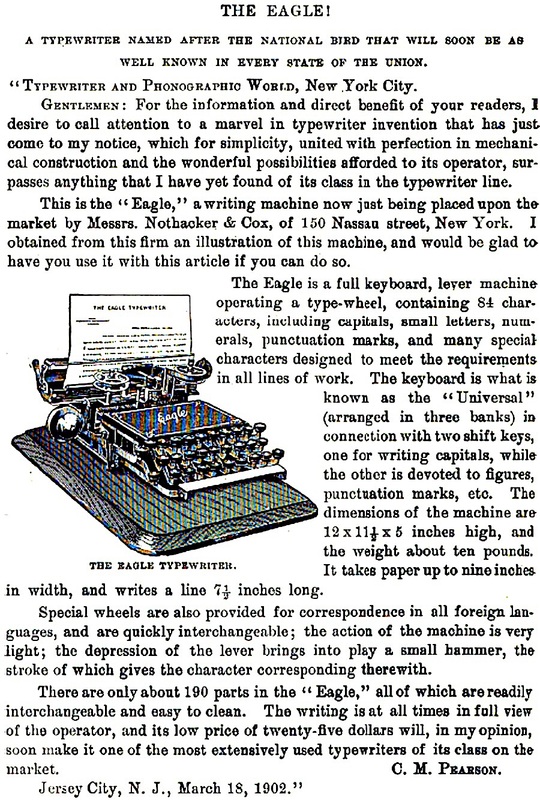 The Eagle typewriter was introduced in 1902 and offered at the remarkable price of $25. Though it was a visible typewriter — and portable — it quickly vanished from the market, reemerging only years later as the Sterling, which itself was only modestly successful. 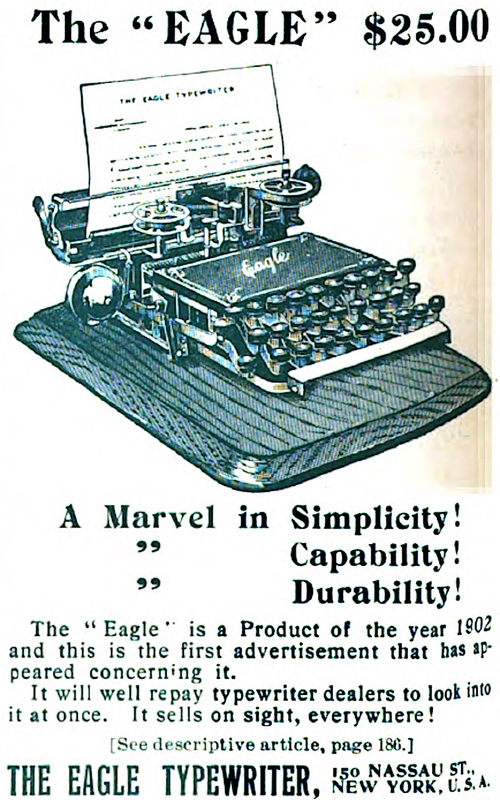 Portable and visible, the Eagle should have appealed to stenographers and writers, but beyond a few mentions in the press, it was relatively unknown. That obscurity may have contributed to its demise. 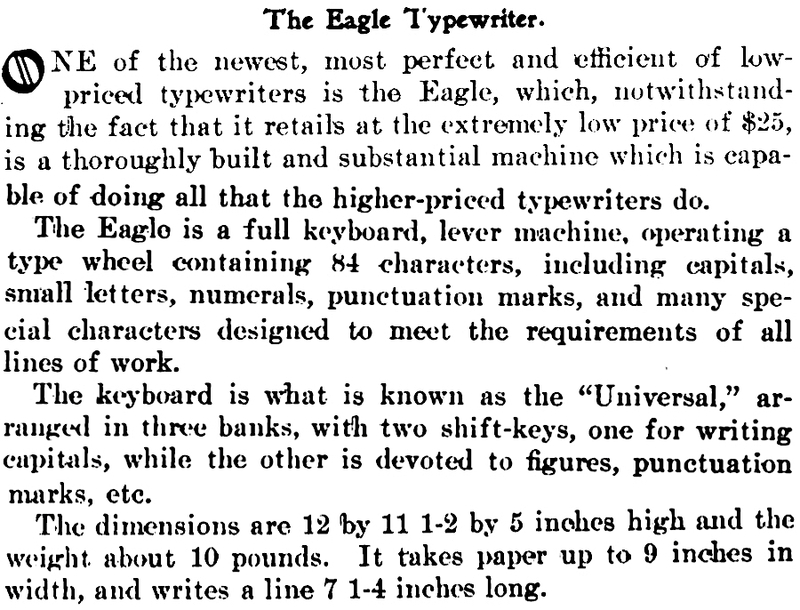 It should be observed that a number of companies bore the name Defi and Eagle, including several for typewriter supplies. 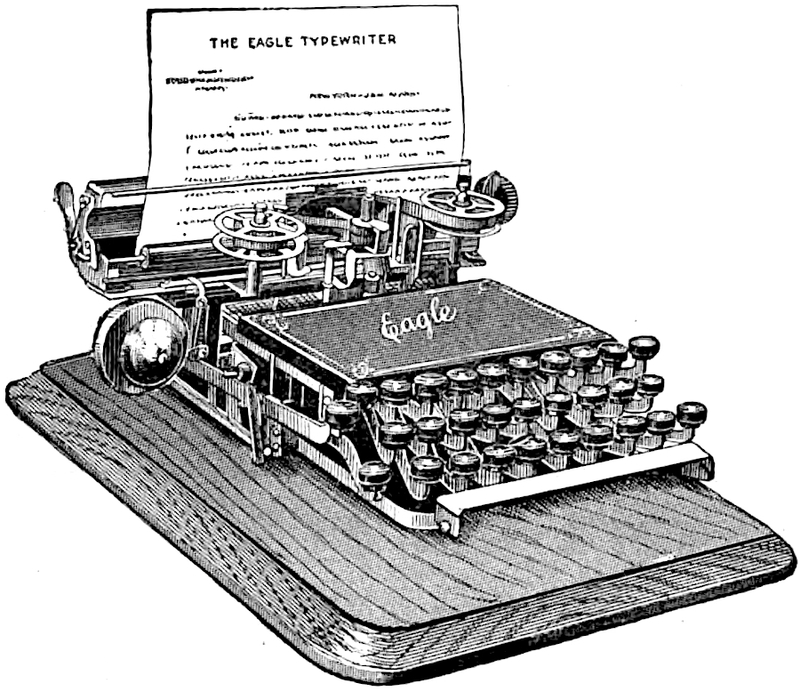 The Sterling would have a more enduring legacy with manufacturing beginning sometime around 1905 (when the Sterling Typewriter Company incorporated)2 through the mid-1910s. It is likely that the Defi and Secretary were products of the Sterling Typewriter Company. Some machine bearing the name Sterling was also sold in 1901. At $7.80 it was probably some type of index or toy typewriter. The first advertisement for this machine… and the last? No others have been located. It’s a shame how rare this is. Even the Sterling is very, very hard to find. The design deserved better. I’ve never seen one in person, but, yes, it looks like a fine design. At $25, one would have to sell a lot of machines to survive, not the handful the company seemed to produce. It certainly would have appealed to stenographers.